Corsair is a well known brand among PC enthusiasts for a wide range of components spanning from memory to cases, power supplies, cooling, peripherals and more. Back in 2015 they went a step further branching out to barebones PC kits with their Mini-ITX Bulldog line designed for the living room, and now the company has decided to get into pre-built systems too with the upcoming Corsair One. 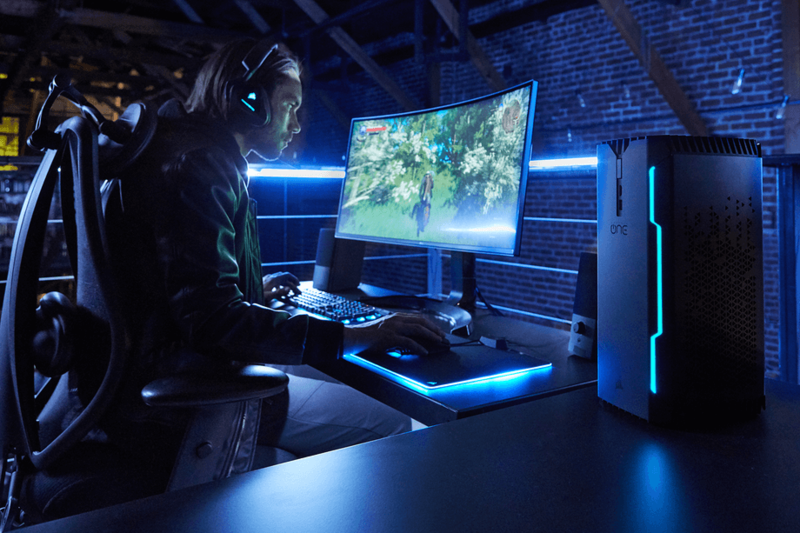 Corsair isn’t sharing much details yet besides a landing page for the upcoming machine and an ad calling it a "category-defying new PC" that was "built from the ground up to power anything and everything you love to do." While it doesn’t mention specific hardware it’s safe to assume we will see the latest processors and graphics chips from Intel and Nvidia, along with the company’s own range of components. In terms of design the Corsair One has some gamer flair with two fairly subtle LED strips reminiscent of Tron. Nothing overly aggressive or flashy as far as gaming machines are concerned. There are tons of breathing holes meshed on the side panel while on the front we see one USB port, one HDMI port and a power switch. The HDMI port on the front is in an ideal position for connecting a VR headset, so we would guess that Corsair intends to push the VR-ready angle. We’ll hear more about Corsair’s One in the coming weeks. Any Corsair fans out there can sign up on the company’s website to be the first to be notified of the new system when it comes out.